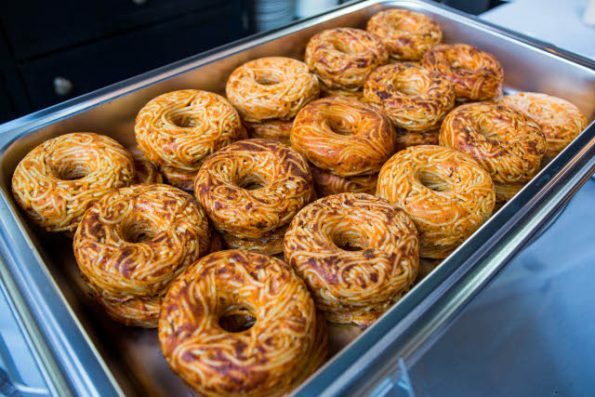 Brooklyn bakery Pop Pasta brings us SPAGHETTI DONUTS. That’s right — spaghetti is making delicious babies with donuts. They’ve got several flavors to choose from (Aglio e Olio, Red Sauce , Zucchini , Carbonara, and Bolognese) with more on the way. While I definitely agree this is a great idea and I’m so so stoked it exists, I feel like the fact that they don’t jam a juicy meatball in the donut hole is such a missed opportunity. Someone deserves to be fired over this huge oversight. Haha, just kidding! I mean, not fired per se, but definitely demoted.